Electric scooters are the hip, new trend in urban mobility (minus the new part, and hip is negotiable). The Bird brand scooters may be the most recognizable, but Lime, which got started in bike sharing, has also joined the local scooter landscape. All you need to participate in this zippy phenomenon is a smartphone app and a helmet — though many riders seem to go without the latter. Then simply locate a nearby scooter, unlock it and scoot off into the sunset. And they're tearing our cities apart. Some residents have strong feelings about the scooters and have been making those feelings known in creative ways, though not all of them are legal. Where some see a cheap, fun mobility solution, others see a swarming invasion that puts riders and everyone around them at risk. There have also been more than a few questions about the rules. Let's go for a convoluted ride. WHAT ARE THE RULES WHEN RIDING A SCOOTER? Los Angeles, Santa Monica and other cities were largely caught off guard by the scooter craze and are racing to adopt regulations for companies and adjust safety rules for riders. The chief criticism of the scooter startups is that they've been operating on the mantra that it's better to ask for forgiveness than permission. City and public safety officials contend Bird, Lime and other companies just drop the two-wheelers into communities and worry about the legal framework later. "In the beginning, (for) dockless scooters in general, that was kind of the approach that was taken," Thomas Lord, an L.A.-based general manager for Lime, said recently on KPCC's AirTalk. Lord said Lime has made an effort to work with local governments "as much as possible" before rolling out their scooters. "We want to definitely be a benefit to the community and not something that is a surprise and a detractor," he added. Everyone must wear a helmet while riding. Everyone. 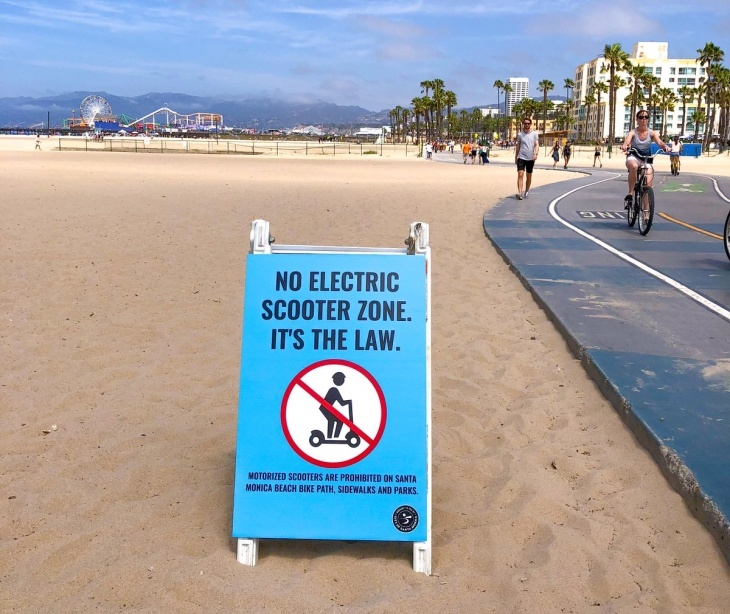 In Santa Monica, the epicenter of the scooter invasion, police have been cracking down on riders with stronger enforcement of helmet and right-of-way laws. The department has also shared videos on social media explaining the do's and don'ts of scooter riding. They are as corny as you'd imagine. Expect more rules and regulation in the near future. Santa Monica has a pilot program in the works, with the goal of fine-tuning city codes for how companies operate and what scooterers can and can't do. The city of Los Angeles has proposed its own set of regulations, which include a cap on the number of scooters companies can put on city streets, a ban on any third-party advertising and no riders under 18. L.A. also wants to require scooter-share companies to share device and rider data so the city can "enforce, evaluate and manage providers." 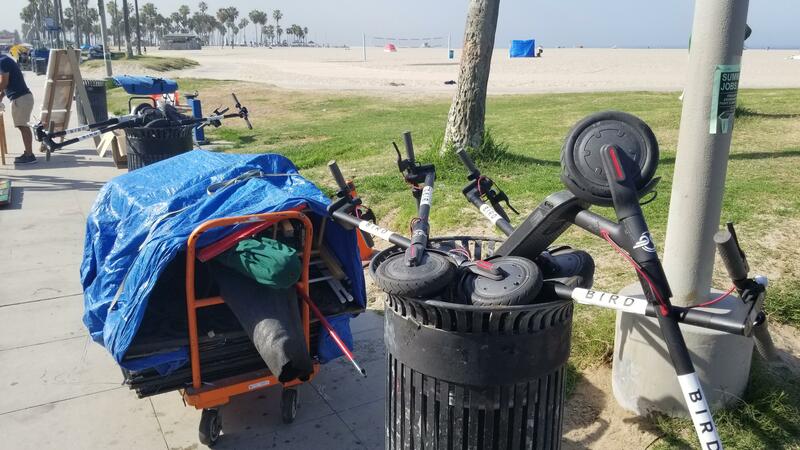 The city of Long Beach is also launching a pilot program, limiting companies like Bird and Lime to a maximum of 150 scooters. HOW SAFE ARE THEY TO RIDE? If we know one thing about human-operated vehicles, it's that we will find ways to hurt ourselves. Electric scooters are no different, and both residents and transportation officials point to concerns about safety, not just for riders, but for pedestrians, motorists and other commuters. There aren't hard numbers on how many accidents scooter riders have been involved in or how many injuries have happened. Many of the complaints about reckless riding and sidewalk blocking have been anecdotal, but there has been some local reporting on accidents and injuries. There's also this video of a head-on collision between two scooterers in Santa Monica. 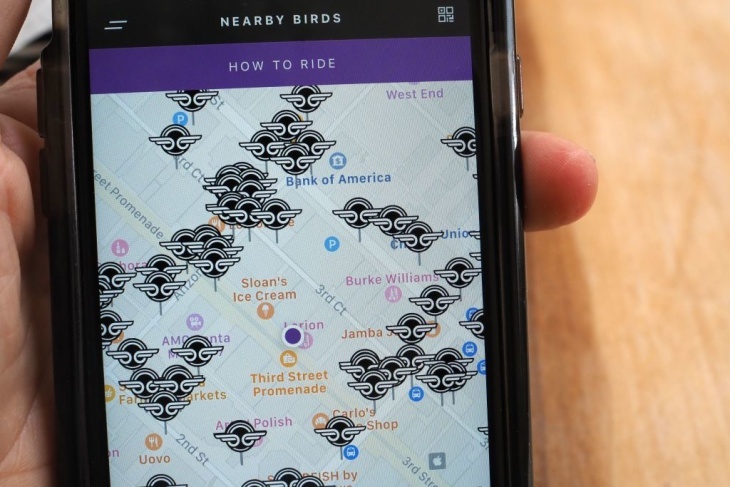 Of course Bird and Lime will trot out the trusted "safety is our top priority" boilerplate, and riders have to agree to the safety rules in the app before they can ride. Bird also offers free helmets to riders, but waiting for one in the mail doesn't much help the out-of-town tourists who want to ride right now. Some personal-injury lawyers are reportedly salivating over the potential accidents waiting to happen. 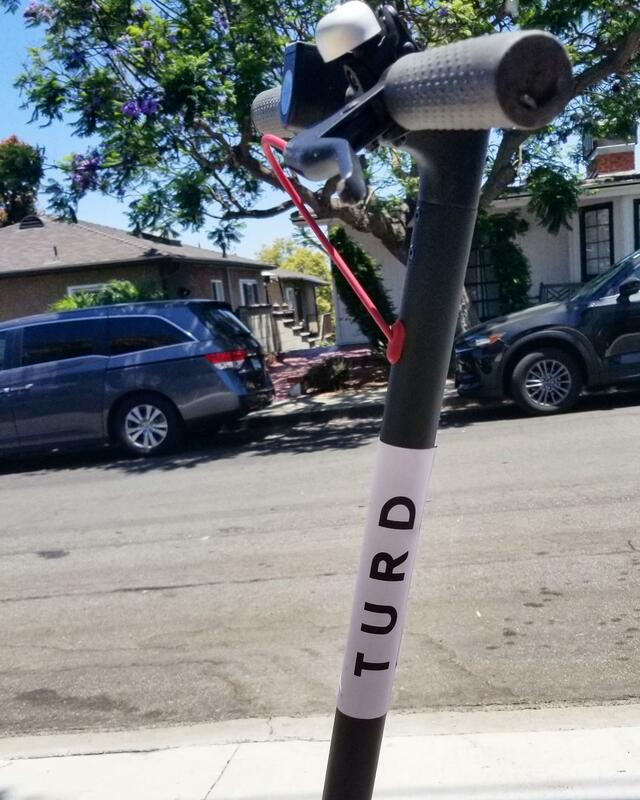 At least one L.A. law firm is advertising their services for "accidents involving Bird electric scooters." WHAT CITIES ALLOW ME TO RIDE ONE OF THESE SCOOTERS? 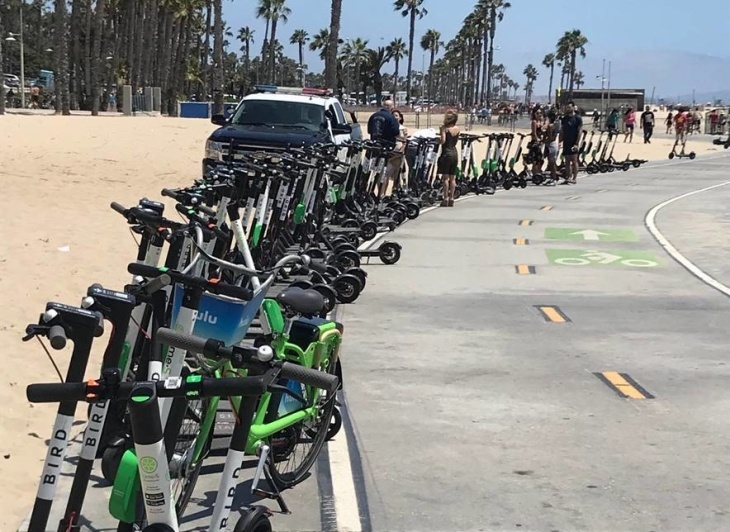 The big fleets of Bird and Lime scooters are in Venice and Santa Monica. They're pretty hard to miss. 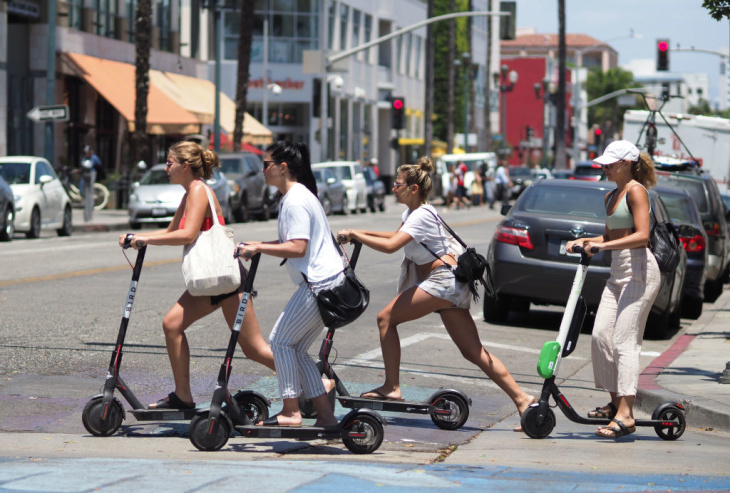 The scooters have been spotted migrating further inland, with sightings in Culver City, L.A.'s Mid City and even as far in as Brentwood. Scooters are also coming to Long Beach soon as part of the city's pilot program. WHERE ARE SCOOTERS NOT WELCOME? The city of West Hollywood recently banned e-scooters altogether, and Beverly Hills voted just last week on a six-month ban while city leaders decide how to regulate them. A "zero tolerance" policy for the scooters has also been issued by the Beverly Hills Police Department. City officials say they won't be putting extra resources into enforcement, but if officers happen to catch someone riding a scooter or leaving it in Beverly Hills, they could impound it and issue fines. It's unclear how big of a fine riders would have to pay, but the company that owns the scooter needs to shell out $172 for each scooter recovered from the street. Bottom line: expect to see more scooters zipping around the streets of L.A. and other SoCal cities in the coming months. Probably a lot more. And if you've read this, you know the basic rules, so stay safe out there. KPCC/LAist mobility reporter Meghan McCarty Carino and Take Two Producer Leo Duran contributed to this story.